← Lose Weight for Summer! We love this little Spanish hotel chain founded under the philosophy that the best way to travel is visiting friends in each city. With this in mind, they established, Grace, a Room Mate Hotel, located in the heart of Manhattan, to offer leisure and business travelers an affordable, yet stylish solution to experience the sophistication and energy that New York City has to offer. 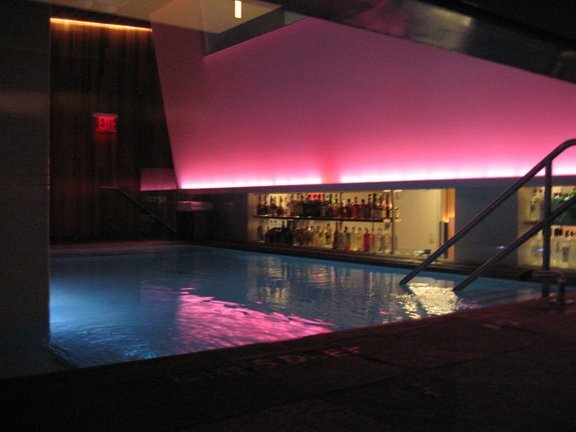 The property features 139 uniquely designed rooms, all with modern layouts and, at night, the mezzanine at Grace connects to the pool and GIFT New York, a uniquely sophisticated lounge and aqua bar, creating a private haven for those who love to socialize. Did we also mention that the bar/lounge features top-shelf liquor and an expansive beer and wine list? This entry was posted in new york hotels, new york travel and tagged new york hotels, new york travel. Bookmark the permalink.